A study on the push and pull working on a guide dog’s harness has found that the bottom right part of the animal’s chest remains under severe pressure, equal in force to around 10 per cent of its weight, as dogs mostly walk ahead of their owners, to their right. The more tightly the harness is fitted to its handle, the more stress the animal goes through. The study says that the hookand- loop connection is the best as it puts the least pressure on dogs. 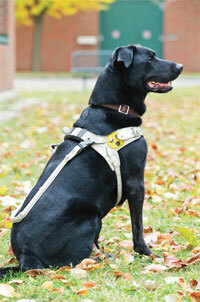 A good harness not only eases stress on the animal, but also improves owner-pet communication. Mycobacterium tuberculosis, the TBcausing bacteria, secrete iron-binding molecules mycobactin and carboxymycobactin to synthesise iron, an essential nutrient, from the atmosphere. The molecules are recycled by the TB bacteria for a more efficient iron use. But if the process is disrupted, it causes an accumulation of the molecules which poisons the TB bacteria itself. The work could provide direction for therapeutic studies on the disease and drug development. 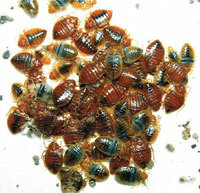 Bed bugs grow 7.3 per cent faster when in a group compared to when they are isolated. The age of the group members does not have an impact on the growth rate of newly hatched bugs. More work is needed to understand what sensory indicators make bed bugs grow faster when they are in groups. The study could also offer clues to control bug infestations. 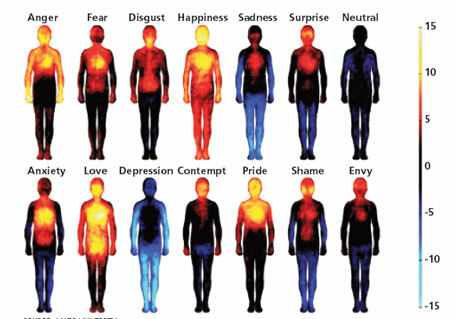 In an online study involving on 700 individuals from Finland, Sweden and Taiwan, researchers have tried to map how emotions are experienced in the body. Different emotions were induced in participants who were then asked to colour pictures of the human body on the basis of body parts whose activity they felt increased or decreased. The results were found consistent across cultures. The findings offer clues to the bodily basis of different emotions and could help in devising tools for treating emotional disorders. A technological upgrade could increase the life of lithium-sulphur batteries, used in electric vehicles, by four times. By covering the anode with graphite, researchers have been able to avoid sulphur from the battery’s cathode getting collected on the lithium anode. 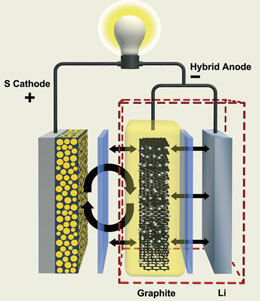 Deposition of sulphur on the anode makes the battery inoperable. Some recent research had suggested that the evolutionary process would do away with the Y chromosome as it has already lost 90 per cent of the genes it shared with the X chromosome. But a new study says that the Y chromosome is here to stay as it still retains key genes necessary for fertility. The study says that since there is so much natural selection at play on the Y chromosome, its functions have come down to the very essentials. A GPS-based study has identified the tropical seas near Papua New Guinea, Irian Jaya and the Solomon Islands as areas where the chances of finding leatherback turtles are high. Popu lation of the turtle has fallen by 90 per cent since the 1980s. A primary reasons for its death is entrapment in fishing traps. The study would help fishers avoid these areas. The population of over 75 per cent of the 31 big cat species is declining and there has been an over 50 per cent decrease in the areas occupied by 17 of these 31 species. Southeast Asia, southern and east Africa, and the Amazon are the areas witnessing a decline in carnivore numbers, says a study. 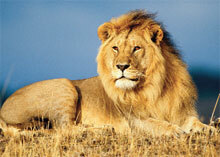 Predators are necessary for maintaining the ecological balance. A fall in their population leads to an increase in the number of animals such as the deer, impacting vegetation, bird presence and small mammals. Dinosaur fossils have been discovered in the north-west part of Saudi Arabia, along the coast of the Red Sea. This is the first such discovery in the country. Dinosaur fossils are extremely rare in the Arabian peninsula. 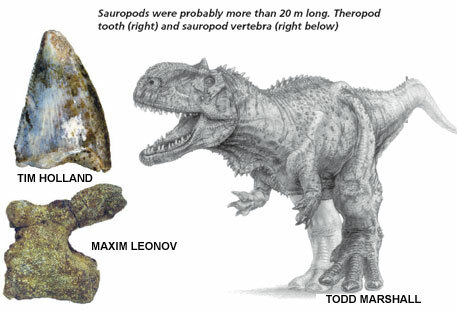 The fossils are from the vertebrae of sauropod and shed teeth from theropod. The two dinosaurs have been described as bipedal meat-eaters. The bones are around 72 million years old. 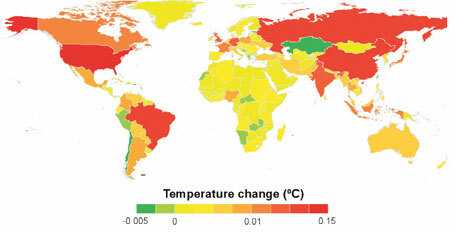 The US, China, Russia, Brazil, India, Germany and the UK accounted for over 60 per cent of the global warming which happened before 2005. The US tops the unenviable list, having been responsible for 20 per cent of the warming, and has caused a rise of 0.15 degrees C in global temperature. It is followed by Russia and China (8 per cent each), and Brazil and India (7 per cent each). The study used data for emissions from 1750 onwards for ranking the countries.